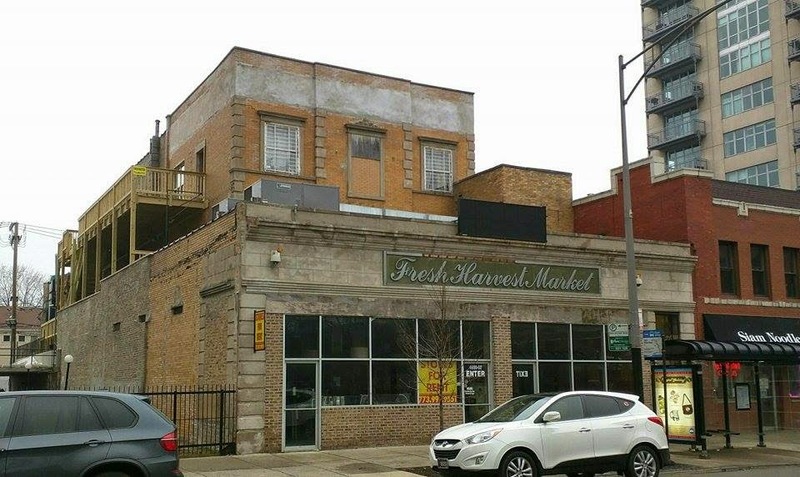 We were sad to see Fresh Harvest Market at 4650 N. Sheridan close down a few years back. The space has been sitting vacant and virtually untouched, and not marketed...till now. "For Rent" signs are up in the window with a contact phone number of 773-991-9551. Interesting to note that the residential spaces above have been getting some long overdue attention, court-ordered attention it seems. New porches were recently built on the south side of the building and some basic tuck-pointing was done. Here's to hoping this building and retail space get some more lovin'!